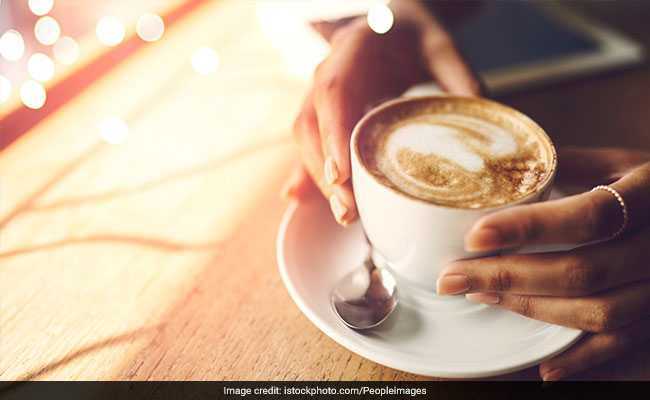 "Coffee has almost no calories and subsequently does not contribute, from the physiological perspective, to safeguarding nutrition," the Swiss government's unsparing assessment concluded. But to some, it may have taken until this week to realize what a war those shelters were built for would really mean, when Swiss authorities said they were planning to categorize coffee as nonessential for human survival. Once implemented, coffee would not be treated as a priority in times of war or crisis and stockpiled. Few nations in the world consume more coffee per capita than the Swiss, which may be why authorities emphasized it was a purely "physiological" conclusion, rather than an assessment of the psychological toll. Almost certain to trigger resistance among heavy consumers of the multifaceted hot or cold beverage, the decision has very practical implications for Swiss authorities: after 2022, they may no longer have to force coffee companies around the country to stockpile thousands of tons of coffee beans to be prepared for the apocalypse, or some other less terminal scenario. Put very simply, this means that Switzerland would run out of coffee earlier than previously planned, should war or a natural catastrophe ever cut off its supply routes. With current stockpiles, the Swiss can continue sipping the revered beverage for three to six more months, regardless of the dire state of the world around them. Since World War I, the country has stockpiled various goods such as animal food, rice or sugar with such doomsday scenarios in mind. Those reserves will continue to exist, which brings us to the "the real story is even more dire" part of the headline. Western Europe hasn't seen a major war on its soil since the end of World War II and until recently there was no sign that this would change anytime soon. But Russia's annexation of Crimea in 2014 has put Europe on high alert, just as concerns have been on the rise over an escalation of tensions between North Korea and the United States. Both conflicts do not appear to pose imminent threats to western Europe at this point, but they've still had an impact on European governments, which is most obvious when it comes to the stockpiling of goods across the continent. Being outside of the military alliance NATO - just like Switzerland - the government of Sweden recently distributed a 20-page leaflet that urges citizens to stockpile food and drinks themselves. The recommendations, which also feature motivational slogans ("If Sweden is attacked by another country, we will never give up"), are a continuation of a Cold War-era strategy that relies on all citizens resisting an invasion even once their military may already have been defeated. Two years before the Swedish government released its war leaflet last year, the German government spearheaded Europe's stockpiling movement, when it urged citizens to store piles of water bottles and food, too. It was the first time such advice had been issued since the end of the Cold War, reflecting growing concerns over a geopolitically volatile situation in many parts of the world, including in Eastern Europe. Germans mostly ridiculed the recommendations, accusing the government of scaremongering. On Twitter, the hashtag "panic buying" (in German: "Hamsterkaufe") trended soon thereafter. But Britain's subsequent efforts to leave the European Union appeared to prove the German concerns correct that no nation is fully safe from supply shortages - even in the absence of war. Amid concerns of a no-deal Brexit that would have resulted in the reintroduction of tariffs and tougher customs checks, the British government drew up emergency plans and even ran out of storage space to stockpile medicines and food. Some Brits took matters into their own hands and headed to supermarkets in droves, even though their worst fears did not (yet) materialize: Brexit is now delayed until Halloween, unless a deal is signed earlier. In Britain, more so than in other countries, stockpiling has become a new societal fault line between those in panic and those who have maintained some optimism. After one man went on a drunk and panicked pre-Brexit shopping spree in March - spending more than $800 on 144 rolls of toilet paper and other purchases - one British woman took her frustration to social media, tweeting out photos of her husband's "mad" and unilateral stockpiling mission. Switzerland still has until November to prevent similar scenes: that's the deadline for the country's final decision on the meaning of coffee for human (well, actually mainly Swiss) survival.